Several papers are accepted or just written on representation learning for graph embedding and similarity learning. These are great works of students in our group as well as collaborators. As a related topic, papers on word embedding and image embedding are also accepted or published. There are also several papers on theory and applications of statistics. The website for Kyoto University Artificial Intelligence Research Unit (AI Unit) has been made. You can find research teams of PIs in Kyoto University jointly affiliated with RIKEN AIP. There are currently seven such PIs in Kyoto University. Just after the lab seminar today, we took our group photo. Shimodaira Laboratory is jointly affiliated to Kyoto University and RIKEN. 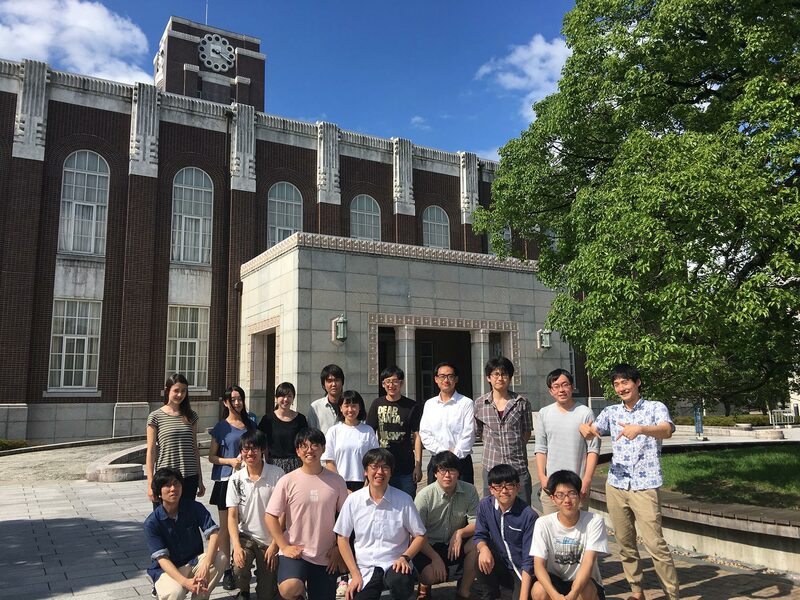 Our lab is Mathematical System Theory group at Graduate School of Informatics, Kyoto University, and it is Mathematical Statistics Team at RIKEN AIP. We work at Yoshida campus (near the clock tower) of Kyoto University and Nihonbashi office (close to Tokyo station) of RIKEN AIP. We are looking for students of graduate school in the field of statistics and machine learning. There are possibilities of internships if conditions are met. Please contact us by emails. Note (2019/03/22): We are not accepting research students recently. Please take entrance exams for the graduate school if you consider master’s students. For internships, contacts should be very early (say, winter for summer internship), and we expect master level students for the internships now. 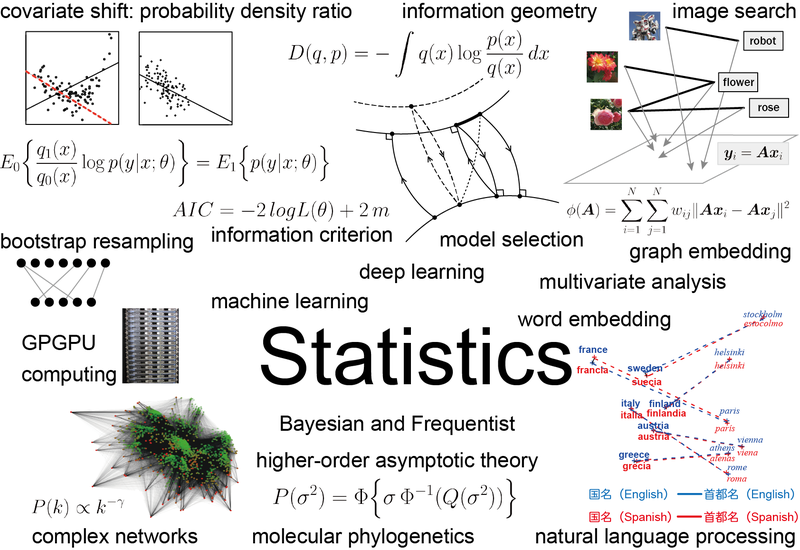 We are looking for postdoc researchers in statistics and machine learning. 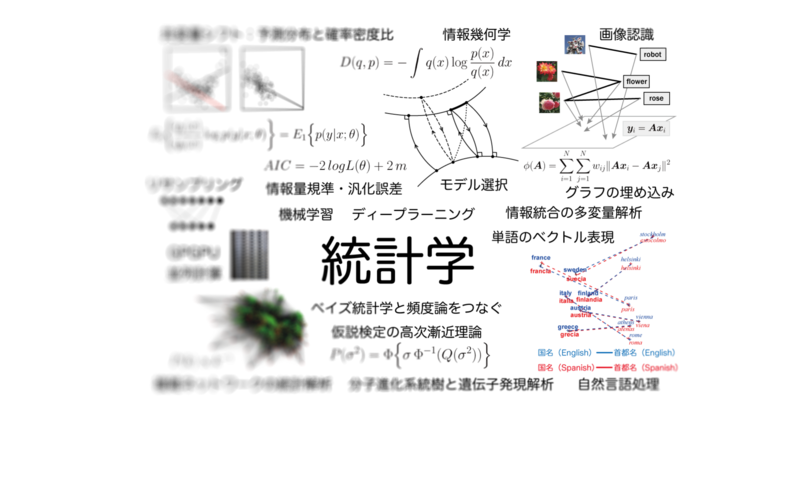 Postdoc researchers will work with us in the Mathematical Statistics Team at RIKEN Center for Advanced Intelligence Project. Work place will be either of Tokyo or Kyoto. Please contact us by email for details. See also the job opening page at RIKEN. I like the Kanji characters on the front page image, but someone may want to look at English translation of the Japanese words.